Ok, same old stuff though. The instant New York Times best-seller. No matter your goals, Atomic Habits offers a proven framework for improving - every day. James Clear, one of the world's leading experts on habit formation, reveals practical strategies that will teach you exactly how to form good habits, break bad ones, and master the tiny behaviors that lead to remarkable results. Clear is known for his ability to distill complex topics into simple behaviors that can be easily applied to daily life and work. 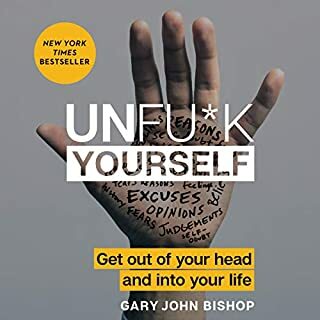 Here, he draws on the most proven ideas from biology, psychology, and neuroscience to create an easy-to-understand guide for making good habits inevitable and bad habits impossible. 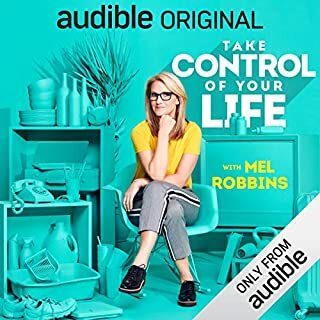 Along the way, listeners will be inspired and entertained with true stories from Olympic gold medalists, award-winning artists, business leaders, life-saving physicians, and star comedians who have used the science of small habits to master their craft and vault to the top of their field. Atomic Habits will reshape the way you think about progress and success and give you the tools and strategies you need to transform your habits - whether you are a team looking to win a championship, an organization hoping to redefine an industry, or simply an individual who wishes to quit smoking, lose weight, reduce stress, or achieve any other goal. 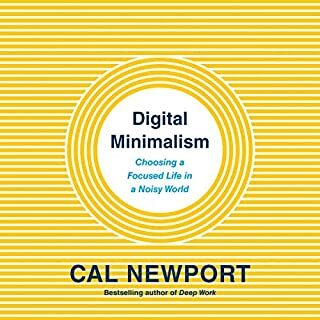 This book complements my other favourite book 'The Power of Habit' by Charles Duhigg. 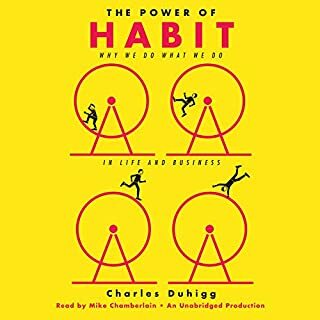 While 'The Power of Habit' answers the 'how' and 'why' of habit change and accompanies research, 'Atomic habits' shows us how to apply these changes with much needed everyday examples. 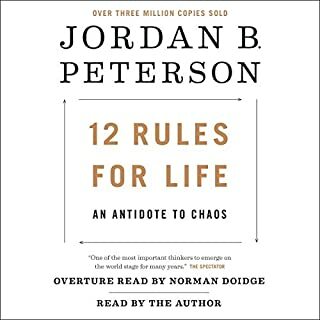 This book is basically a much needed sequel to the above mentioned book, complete with an instruction manual on how to initiate and stick with habit changes, along with other resources for a common person. I'm glad I bought it and heard it start to finish. 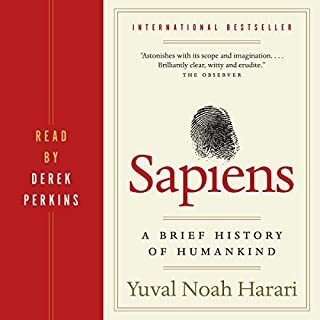 I thoroughly enjoyed this audiobook, it was the first audiobook I finished in less than a week without getting bored. 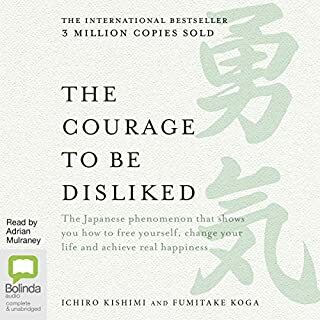 I recommend this to anyone who wants to understand how we can make tiny changes to become great in every aspect of our lives. A must listen especially for the younger generations! I can’t recommend this book enough. James Clear gives a you a no nonsense approach to truly getting more from life. It was a pleasure to hear twice. And I’m sure I’ll revisit it again in the future. Pleasantly surprised not all principals were entirely obvious. And those that were came along with practical application suggestions. Really enjoyed it. More importantly, I know I will benefit from this knowledge. Each chapter is summarized at the end but still found gems within the text. I'll be going online to access see of the tools. Check this out. you won't regret it. 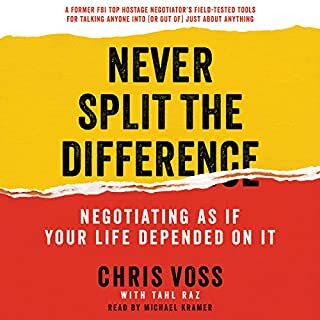 I really enjoyed this book as it was just as practical as it was informative. I really enjoyed going a bit deeper into the theory and having actionable steps attached. Well worth the time invested and a huge thanks to the Author. 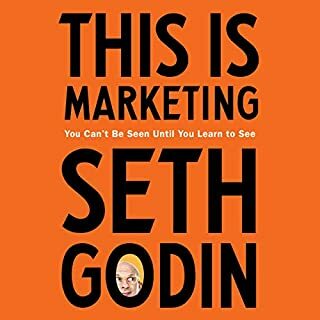 Awesome nuggets of wisdom and actionable items. There is too much great insight in this book to mention. I am putting these tactics to work in order to multiply my effectiveness. Great book with real steps to better habits! if you liked/loved the compound effect by Darren Hardy, you'll love this book too. It suggests real steps to help you get better habits in your life and acknowledge that it won't be easy. It gives good examples of other people who have done it before you and how they did it. I really enjoyed it and will probably listen to it a couple more times. 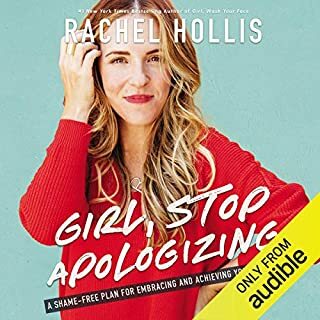 I bought this as an audiobook and have listened to it twice and plan on listening to it more! The knowledge and techniques of implementing small life changing habits are mixed with science of human behavior. I not not only learned the how, but the why. I also learned how to create better habits and to stick with them. How to work with my nature, not against it. How to make small changes in my daily habits to reach goals, reduce my work stress, create healthy eating and exercise routines and build stronger relationships. 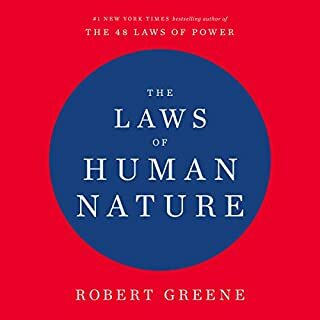 I believe anybody could benefit from reading or listening to this book at least once. However I think once you've listen to it once I'm sure you will want to read or listen to it again! Treasure trove of performance improvement methods! James Clear shares with us his many years of research and exploration of the effective and proven methods behind his massive personal success. 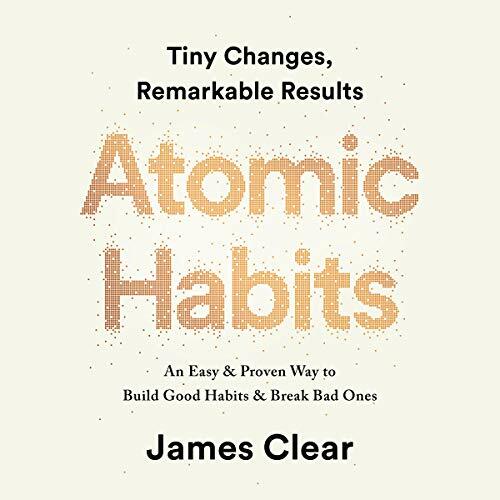 Learn how very small habit changes, James calls Atomic Habits, are the secret to produce continual incremental performance improvement. I believe everyone would benefit from something in this book! Changing it fast makes you fail on doing on and on but making it slowly and little by little helps and tracking it feels motivated and great. Excellente narration. efficace et précis. a lire avec les autres livres sur les habitudes qui posent les bases scientifiques. ce livre est un bouquin d'application très efficace. Went through twice sequentially - notations the second time. This summarizes the major topics of many of the books I've really enjoyed (Peak, Power of Habit) into a usable form. Break habits into small parts, and focus on not breaking the chain. Seems so obvious, but it really shines in this format. Examples of both positive(carrot) and negative(stick) ways to apply the principles. Don't set goals, focus on habits that you want to incorporate. Survivor bias - everyone who wins a gold medal has it as a goal, but so do all of the other competitors who didn't win. Every day you don't achieve the goal is a bit of a failure. Not so if the goal is the good habit itself. So - instead of losing weight, focus on the habit of not eating between meals, and then on meal composition. I'm the kind of guy who doesn't snack. I'm the kind of guy who eats healthy. The weight will happen. In the weight room - if you add only 1 lb per week, that's 52 lbs in a year. That certainly seems doable. Focus on the tiny habits. 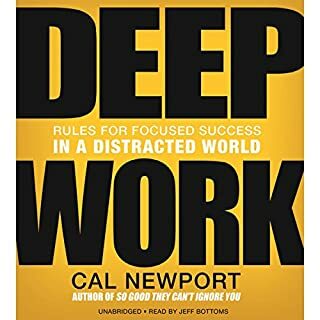 A must read for anyone interested in making long lasting changes. 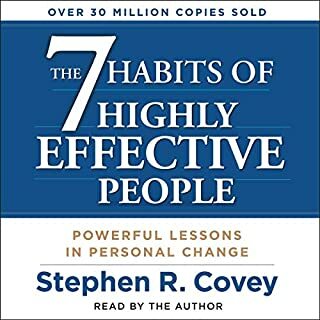 This book not only helped me learn how to create lasting habits, but it helped me to give myself some grace over the fact that I haven’t been able to maintain many of my good habits up until now. I have spent years and years becoming so depressed over the person I’ve become; mourning the loss of the driven, accomplished teenager I once was, and wondering “how did I turn into this?” I’ve spent way too much time thinking that I was just becoming lazy, unproductive, and incapable of success - wondering why I didn’t have the grit and willpower I did when I was younger. 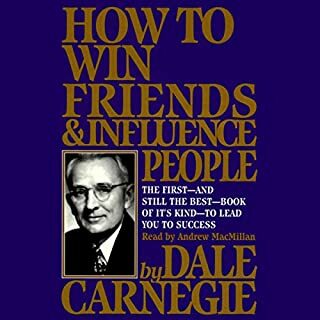 But this book clearly explained the science of human behavior in a way that made me realize - I’m just like everyone else, EVEN SUCCESSFUL PEOPLE. The difference is that they know how to create situations for themselves to allow themselves to succeed. Now I know how, and I can’t wait to get to work. Thank you, James, for this brilliant book, and for being the light I’ve been desperately searching for to pull me out of this dark place I’ve been in. I can’t tell you how much it means to me! 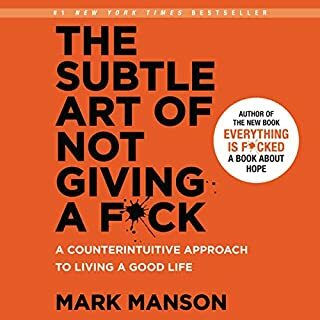 This book was well written by James and presented in a way that anyone who applies the techniques to adopt good habits and stop bad habits can accomplish whatever they set their mind too. Some of the key takeaways for me are to start very small, whether it's doing 1 pushup on the way to doing 100, write for 5 minutes if you have trouble with writers block, start meditating for 1 min at a time if you cant sit still. All in all a fast read with very useful information. I haven't even finished yet and I have used some of the information. If you want to begin a new habit or stop an old habit, look no further. The book is short and concise. The subject matter is very clear an easily understood. The author tells where to go for downloads, but I wish there was a PDF download with Audible. That is the only problem I have encountered so far. I think you will need the downloads. As a low vision user, the easier the process is, the better for me. I seldom do a review; so, you know I highly recommend this one. I like the fact that author read his book. He read clearly and is easy to follow. I devoured this book in two days and will now focus on implementing he’s strategies. I love the included templates. 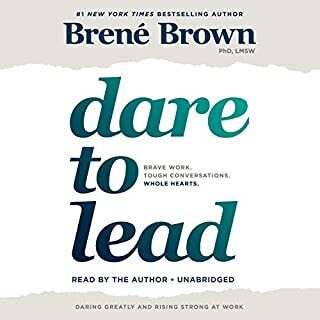 I will most definitely listen this again during this week while I’m working on building my habit system. I'll state this, this book should be read, then studied. I'll probably read this book twice a year until my life habits are conducive to the life I desire to live. many times we try to change but life gets in the way. the author provides a framework to overcome the mental aspect towards establishing the habits you want. Great book on habits. It contains information on how to create habits, keep them, and break them. I was skeptical about another habit book but this contains original content. My biggest gripe with the book is that the author constantly asks you to reference his website for more information. It often makes the book feel incomplete. I don’t like when it feels like a book is attempting to build an audience for another platform. That being said I still recommend the book. I am only about halfway through this book (just bought it yesterday), but I couldn't help put in at least a partial review. I absolutely LOVE reading this! James Clear has a phenomenal understanding of human behavior, and specifically how our habits define our identities. For me personally, he has offered a completely new way for me to understand WHY I continue my bad habits when in my head, I know they're bad, and why I find it so difficult to start good habits. Furthermore, he offers very specific strategies for how to change those habits so I can make myself into the person I know I should be. It's not about "will power," "motivation," "perseverance," or any of those traits we so often attribute to people who kick bad habits and start good ones. Instead, it's all about behaving in a way most consistent with the person we wish to be. As James Clear says, our habits are actually neither GOOD nor BAD. Instead, they are either consistent or inconsistent with our desired identities. If I see myself as a healthy and successful professional and happy father and husband, then I have to closely examine each of my current habits and ask myself if those behaviors are consistent with how I'd like to identify myself. If they are not, then I need to modify those habits. The specifics of how to go about doing that is where I am in the book now. I'll update this review in a few weeks (or maybe months), after I have finished the book and had a chance to try out the strategies. But for now, I feel like I'm having an epiphany, and I haven't felt this way about a book since...well...ever. Amazingly, after one day of reading only half of his book, Mr. Clear, a man who doesn't know me at all, has shown me more about my own behavior than any psychologist or therapist I've ever met in my lifetime. It's a great work, with a point of view more practical then the usual habit books I ever read and this is a compliment. If you want something more profound and with more scientific data you should read something like The Power of Habit, because this one is more a step by step to Implement and change the habits you want. The autor made some really good and unexpected appointments. 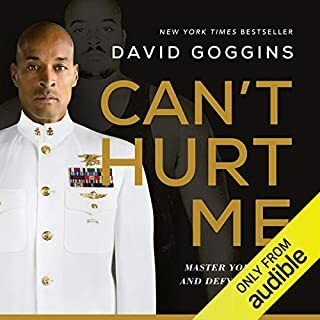 A really nice audio book overall. One of the best habit books out there. But the author makes reference to an atomichabits.com repeatedly in his writing and it does not appear to exist! When you search for it you end up at jamesclear.com which is not the same. So some of the resources he mentions using are no where to be found.